In order to direct building teams to design and build spaces to protect occupants from tornadoes, the Federal Emergency Management Agency (FEMA) began conducting post-disaster investigations and found that many smaller, interior rooms were surviving, while the rest of structures were destroyed. Emerging from this FEMA research, the agency developed FEMA 320: Taking Shelter from the Storm: Building a Safe Room For Your Home or Small Business, first published in 1998, and FEMA 361: Design and Construction Guidance for Community Safe Rooms, first published in 2000, offering guidance for storm shelter construction. Incidentally, both FEMA P-320 and FEMA P-361compliance are required for building owners seeking construction grants from FEMA. This classroom at Garfield Elementary School in Augusta, Kansas, meets stringent FEMA P-361 tornado shelter standards and offers an attractive architectural design with a window thanks to a code-compliant shutter attached to the opening. In May of 2002, the International Code Council (ICC) and the National Storm Shelter Association (NSSA) initiated a joint project to write a standard for the design and construction of storm shelters. A standard development committee was created, and the first meeting was held in May of 2003. The scope of the standard was established to provide minimum design and construction requirements for storm shelters that provide a safe refuge from storms that produce high winds, such as hurricanes and tornadoes. First published in 2008, ICC 500 became a referenced standard in the 2009 International Building Code (IBC). In the 2009 and 2012 IBC, shelter construction was voluntary, but in cases when a shelter was built, it was regulated by the standard. As of December of 2014, a revised edition of ICC 500 was published and subsequently referenced in the 2015 IBC, which requires storm shelters in certain Group E educational facilities and critical emergency operation facilities, such as 911 call stations, emergency operation centers, fire, rescue, ambulance, and police stations, in higher wind zones. More specifically, all newly built schools housing 50 or more kindergarten through 12th grade students in 22 U.S. states where wind speeds can potentially approach 250 mph require storm shelters. This map depicts potential tornado wind speeds in different U.S. regions. 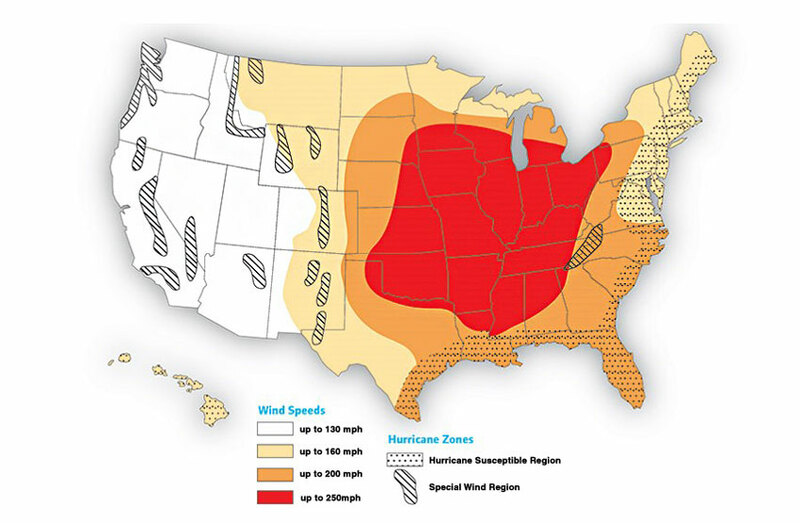 Of note is the fact that the 250-mph wind zone encompasses 22 states. In developing ICC 500, the committee “considered the probability of tornadoes of various intensities occurring at various regions by reviewing over 50 years of tornadic history. 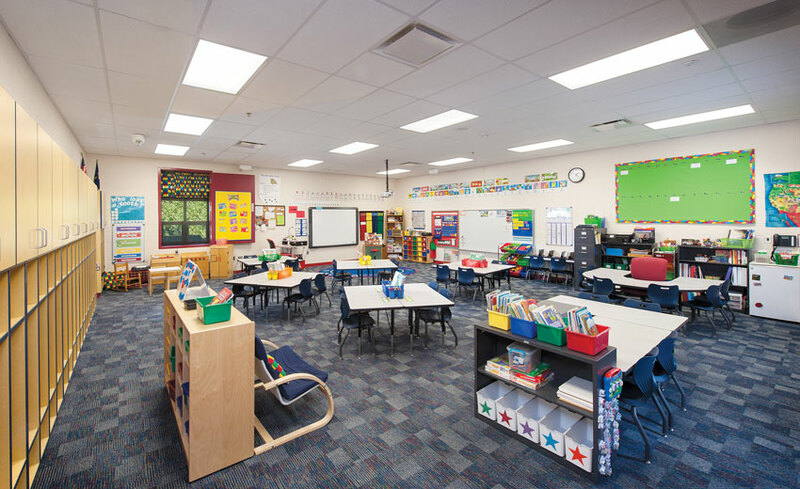 And, they considered the higher responsibility that schools with an E occupancy have to protect their students during a tornado and that first responders have to serve their communities after a tornado,” explains Benchmark Harris, PE, SE, LEED AP, director of engineering, Huckabee, Fort Worth, Texas. Simultaneously, Ernst W. Kiesling, PE, Ph.D, executive director, National Storm Shelter Association, Lubbock, Texas, relates that FEMA continues to evaluate post-tornado shelter performance to evaluate standards and steadily upgrade them. “FEMA reports contain recommendations for improving the built environment to provide higher levels of safety,” he says. Explaining the process in more detail, Kilzer relates that mitigation assessment teams (MAT)—staffed by FEMA professionals, state and local governments, and public and private sector experts in design, construction, and building code development and enforcement—are deployed to study the performance of buildings in the wake of destructive tornados. At this point in time, a major aspect of ICC 500 requirements is rigorous testing for the building products and systems going into a certified tornado shelter. Explaining the background behind these testing requirements, Kiesling, Pirtle, and Waller relate in a Structure magazine article, “NSSA/ICC 500-2014 Storm Shelter Standard—Structural Provisions,” that there hasn’t been enough research to more definitively determine the damage of wind-borne debris missiles, such as wind-driven lumber or roof decking striking shelter surfaces, glazing, and impact-protective systems. “Therefore, to ensure occupant protection, ICC 500 requires laboratory impact testing of the storm shelter structures and all impact-protective systems,” they say. In order to meet stringent ICC 500 storm shelter requirements, the shelter door assembly must be able to resist a 15-pound, 2-inch by 4-inch board traveling horizontally at 100 mph, which is much higher than Miami-Dade standards for hurricane protection, as tornado winds travel at a higher velocity than hurricane-induced winds. One mistake that people can unfortunately make is assuming that a standard door with three dead-bolts will withstand a tornado. In reality, a tornado-resistant door typically includes heavy-duty reinforcement plates and is engineered and certified as a complete system, inclusive of all accessory elements. Furthermore, ICC 500 requires that a storm shelter door be able to withstand impact testing in at least three locations—in a central location, within 6 inches of a corner, and within 6 inches of the main latch. In configuring storm shelters for tornadoes, different failure modes and loadings must be considered based on the assumption that surrounding or host buildings will be completely destroyed, leaving the shelter fully exposed to the wind forces of a storm. For example, wind pressures for storm shelters are calculated using the American Society of Engineers ASCE 7-10: Minimum Design Loads for Buildings and Other Structures. When analysis for wind pressure is not practical, ICC 500 provides requirements and procedures for laboratory pressure testing walls and roof assemblies. Impact-protective systems, including doors, are always required to be subjected to physical testing to ensure their performance. Architects and structural engineers should also be aware that there cannot be any breach in the building envelope. This includes all the transitions between the doors and windows to the wall. With regards to vetting storm shelters, ICC 500 requires peer reviews or independent third-party evaluations for community shelters with 50 or more occupants, daycare shelters with 16 or more occupants, school shelters, and shelters in Risk Category IV, as defined by the IBC, such as police stations, fire stations, and emergency operations facilities. As Corey Schultz, AIA, LEED BD+C, vice president, Schultz Squared Architects, Wichita, Kansas, explains in his company blog, “Storm Shelters – Peer Reviews,” many designers erroneously believe that shelters are nothing more than adding some more rebar in the walls, putting those shutter “thingies” over the windows, installing vault doors, and putting concrete or dirt on the roof. “Unfortunately, it is well beyond those issues, well beyond. Because of these reasons, ICC 500 and FEMA P-361 call for peer reviews as a shelter/safe room requirement, for both architectural and structural, for any shelter that protects more than 50 occupants. It is a second set of eyes to help assure that the end users of that shelter are safe in a tornadic event,” he writes. 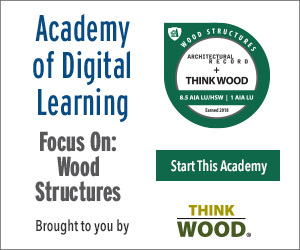 Architects must also submit a quality assurance plan in the design drawings and specifications, and the contractor must submit a written statement of quality control responsibility to the authority having jurisdiction, the design professional, and the owner before commencing construction. Then, during construction, a number of special inspections are required. For example, with community shelters, structural observations must be performed by a registered design professional during significant phases of construction.